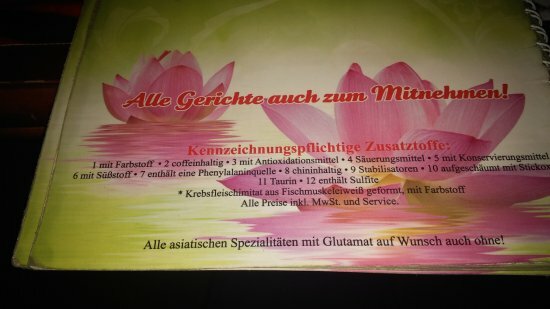 There aren't enough food, service, value or atmosphere ratings for Hong Phuc - Restaurant, Germany yet. Be one of the first to write a review! We both had rice with different sauces. The rice with duck was plentiful, the one with beef could have used a little more meat. A great place to take a large group of teenagers. The food was not exciting but was fresh, plentiful and cheap. The kids all wanted to return the next day. Get quick answers from Hong Phuc - Restaurant staff and past visitors.